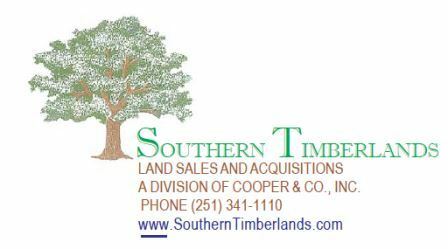 I am Mike Dees and as the Managing Broker at SOUTHERN TIMBERLANDS, I would like to Thank You for visiting our website. I have been in real estate since the early 1970''s and I enjoy it as much now as when I first became a Realtor. I''ve had the opportunity to help may people realize their dreams of owning property in Alabama and Mississippi, and helping people is what I am most proud of. I feel like we accomplish that in every way, one client at a time. This is a job that one can really enjoy & I have the privilege of working with a great group of guys who love be outdoors just like me. Showing property gives us the opportunity to do just that and to build life-long relationships with many of our customers and clients. Whether we are fishing, hunting or just relaxing, my wife Sheree and I always enjoy our family time together with our daughter, Jenny and our son, Jeff. They, as well as other members of our family, are also Realtors in our family business, Cooper & Co., Inc. Please visit our website often and if you don''t see the property you are looking for, please allow us the privilege to help you locate that property you''d most desire. If selling your property is what you have in mind, please call us to come take a look at your property and discuss your options with you.